What could be more spectacular than a sunset sail along the Amalfi Coast? 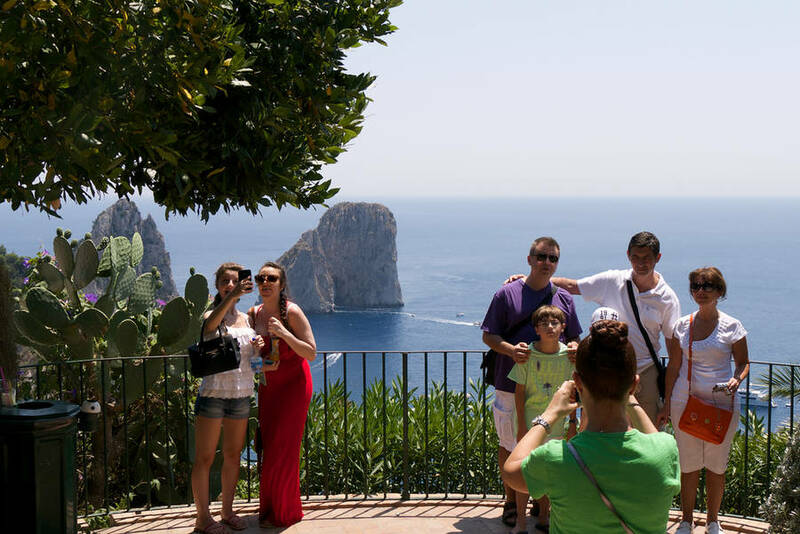 If you've chosen Capri as your destination for a relaxing break, you've chosen well! Here are some of our insider tips on how to best spend your long three-day weekend (or short three-day week), exploring the island at a pace leisurely enough to be able to truly enjoy the beauty of this peaceful island. A tip: in high season, the hydrofoils leaving Capri for Naples on Sunday evening and Monday morning are generally quite crowded. We recommend purchasing your ticket if you will be travelling at those times. After checking in to your hotel, begin your break right with an aperitivo in the Piazzetta. 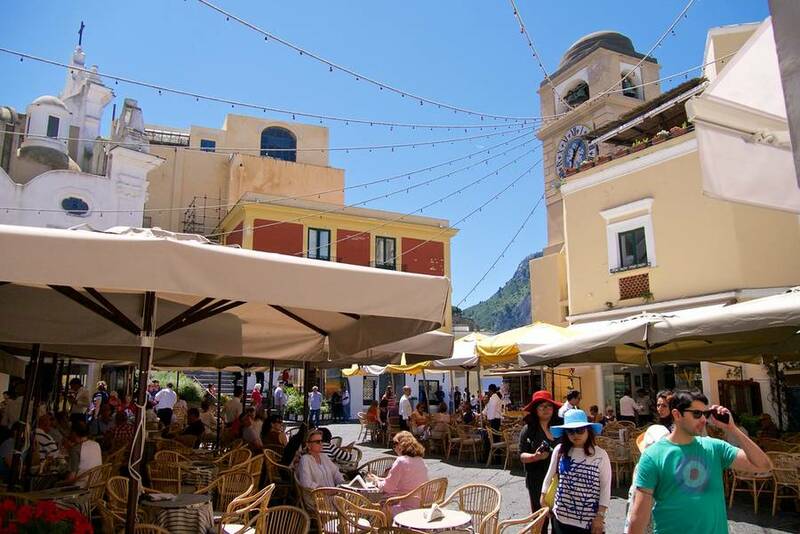 The pre-dinner happy hour is the best time of day to soak in the glamorous atmosphere of Capri's central piazza, when the daytrippers have left and the square is festive yet not overrun. Stake out a table and enjoy a relaxing drink along with other locals and visitors. Afterwards, take a stroll down Via Vittorio Emanuele and Via Camerelle, stopping to windowshop at the luxury boutiques which line these lanes. From here, continue along Via Tragara to the Belvedere scenic overlook, where you can view the Faraglioni rock formations and Marina Piccola lit by the golden sunset. Circle back around along Via Cesina, Via Fuorlovaldo, and Via Le Botteghe, where there are small art galleries and shops featuring contemporary design. It's already time for dinner! We suggest reserving a table at a local restaurant in advance, especially in the crowded high season. 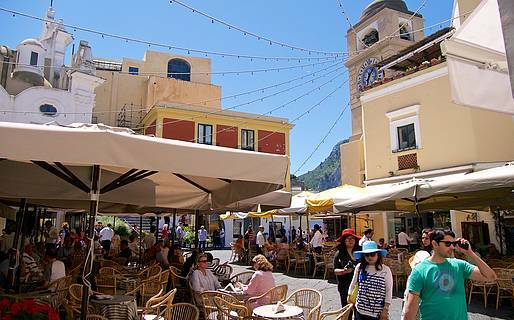 The most popular on Capri are Aurora and Paolino, where you will often find celebrities dining at the nearby tables. Another beloved spot for foodies is Mammà, a new restaurant featuring the Michelin-starred chef Gennaro Esposito. For those who crave home-style cooking and fair prices, the best option is Verginiello, while E' DiVino offers an informal and festive atmosphere in a unique venue, where you can dine in a traditional island home surrounded by the original furnishings. After dinner, sample some island nightlife. 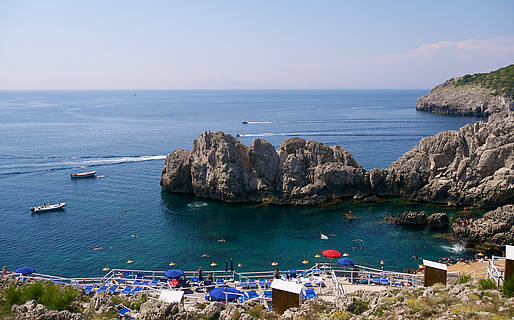 The Anema e Core and other hot spots and clubs in Capri are all located between the Piazzetta and the Quisisana Hotel. Day Two - Surf or Turf? You have a whole day in front of you. What to do? 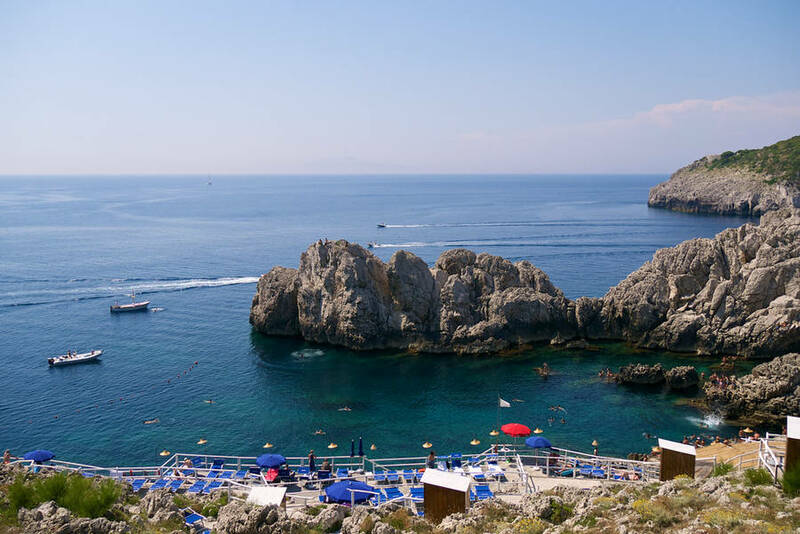 If you have dedicated this island break to complete relaxation, then head to one of the beach establishments on Capri, where between sun lounger, crystalline waters, and waterfront restaurants, you are set for the day. 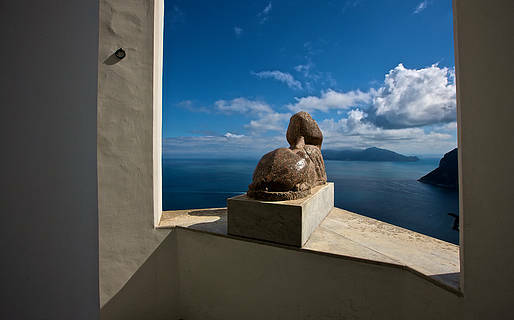 If you'd rather spend the day exploring the island, then we recommend heading to Anacapri. 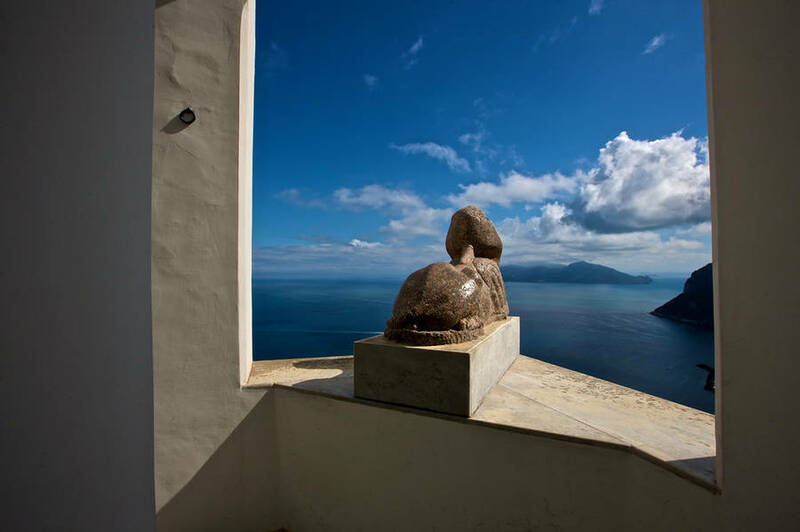 From Piazza Vittoria, take the chairlift up to the peak of Mount Solaro, where you can take in the endless view over Capri, the Amalfi Coast, and the Gulf of Naples. From here, you can walk downhill and stop in to visit the peaceful Cetrella hermitage. Once you return to Piazza Vittoria, follow Via Capodimonte to Villa San Michele, where you can visit the home and collection of Axel Munthe. For the rest of the afternoon, relax at the Punta Carena lighthouse, easily reached from the center of Anacapri by the bus which departs from Piazza della Pace. Al the lighthouse, there is both a waterfront restaurant and a public area with two snack bars which serve sandwiches and drinks. 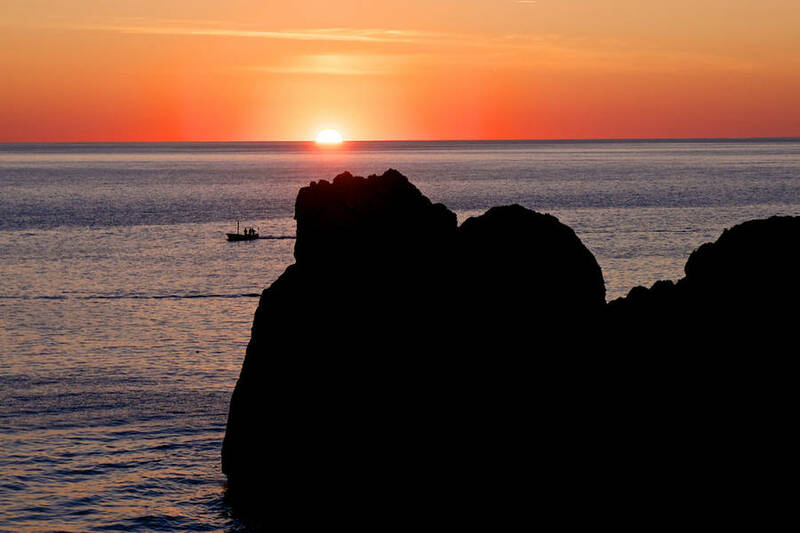 Watch the sun go down from Punta Carena, were you will be treated to one of the most spectacular sunsets on the island. 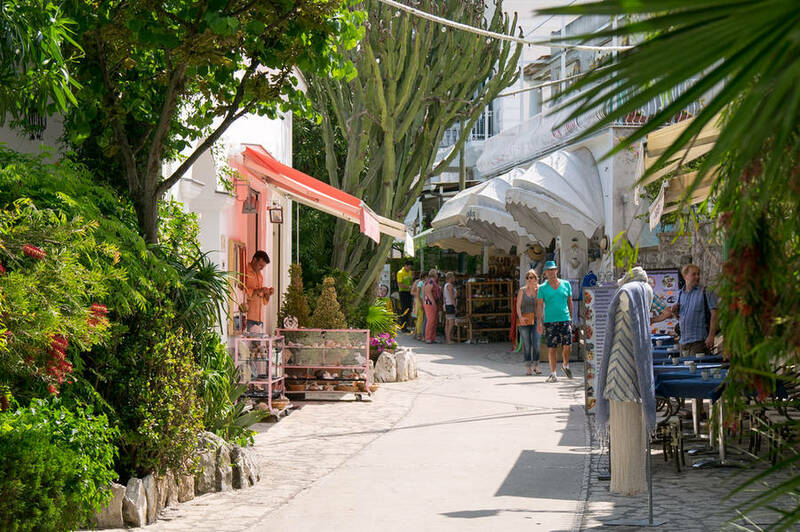 Back in Anacapri, you can take a walk through the historic center, much more sleepy and village-like than that of the neighboring town of Capri. After a walk down Corso Giuseppe Orlandi, stop in for dinner at one of the local eateries which offer the traditional country cuisine of Anacapri. One of the landmarks of Anacapri's traditional cuisine is Da Gelsomina alla Migliera, which is located in the countryside outside of town but offers a shuttle bus service to guests. If you'd rather stick to town, try Trattoria Il Solitario. 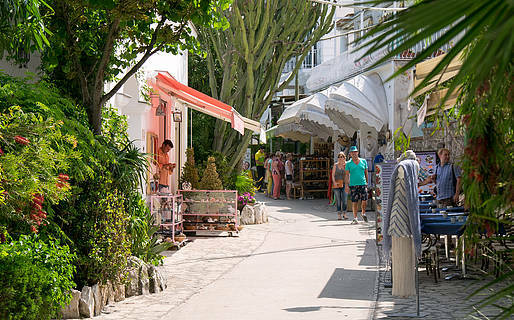 Take this morning to explore the town of Capri better. Visit first the Gardens of Augustus and the Charterhous of Saint James, and then, if you feel like a walk, take the Pizzolungo Trail or climb to the top of Mount Tiberius to visit the archaeological remains of Villa Jovis. Now it's time to take to the water. 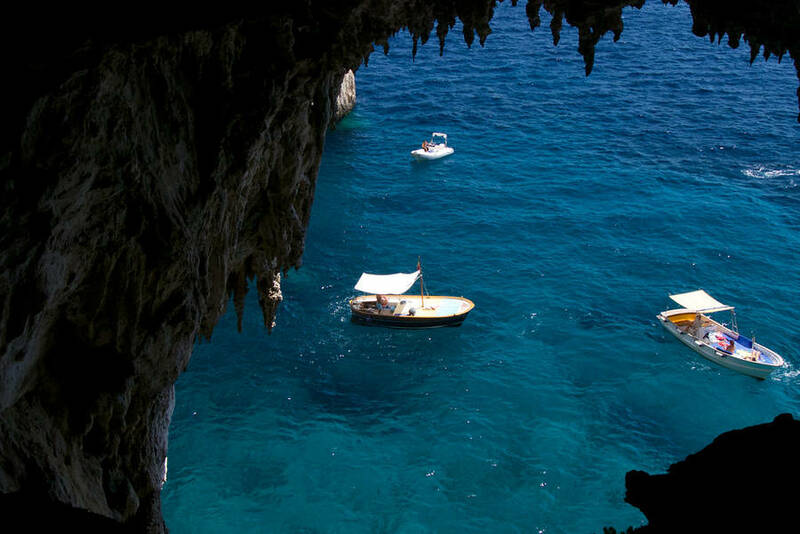 Head to Marina Grande to book a boat tour of the island with a stop at the Blue Grotto. 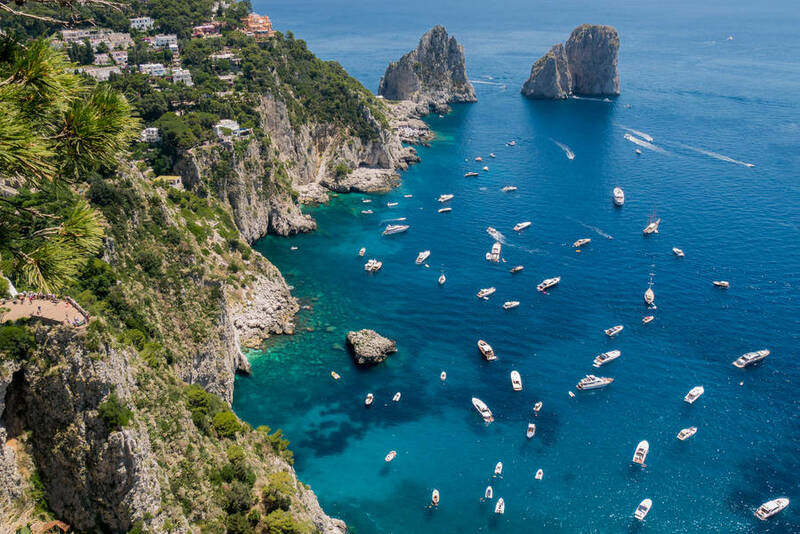 If possible, we recommend hiring a private traditional gozzo boat with skipper: though it costs more than a group tour with a charter boat company, it offers the flexibility of stopping to take a dip in the hidden coves along the shores of Capri. End your break on Capri in style with a dinner in the Marina Grande tonight, enjoying the quiet that descends each evening when most tourists leave the island and you feel you have travelled back in time to when this bustling port was once a sleepy fishing village. Feast on local fish and seafood at the Zodiaco, letting your host Ciro serve you the catch of the day! A perfect finish to a perfect three days on Capri. Book online or request an estimate to reserve your place now. More than 7.000+ tours and day trips booked online. 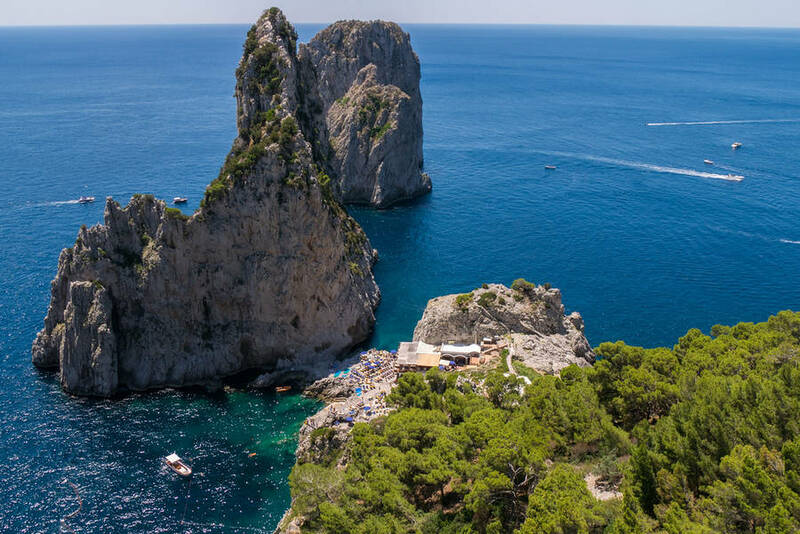 Experience the island of Capri with all five senses: see the colors of the Blue Grotto, touch the towering Faraglioni, hear the sounds of the Mediterranean, taste traditional island Limoncello, and smell the scents of Carthusia perfumes. Discover all of Capri on two wheels!